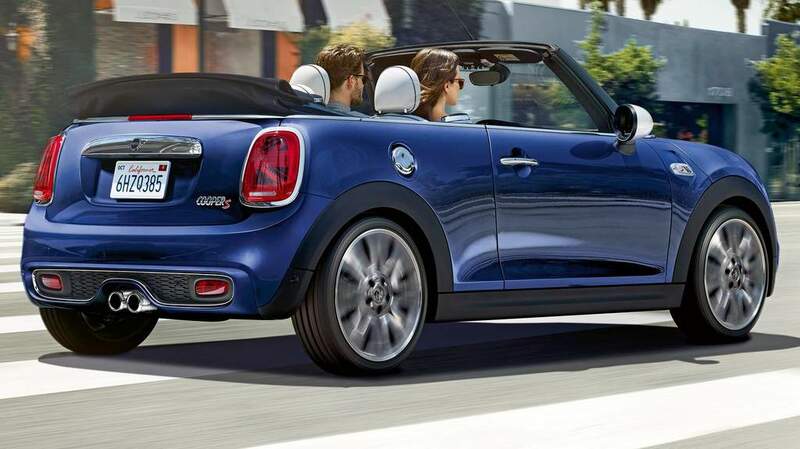 The new Mini 3-door Hatch, 5-door Hatch and Convertible have made their Indian debut today. The Completely Built-Up (CBU) units will be available at dealerships from June 2018 onward. 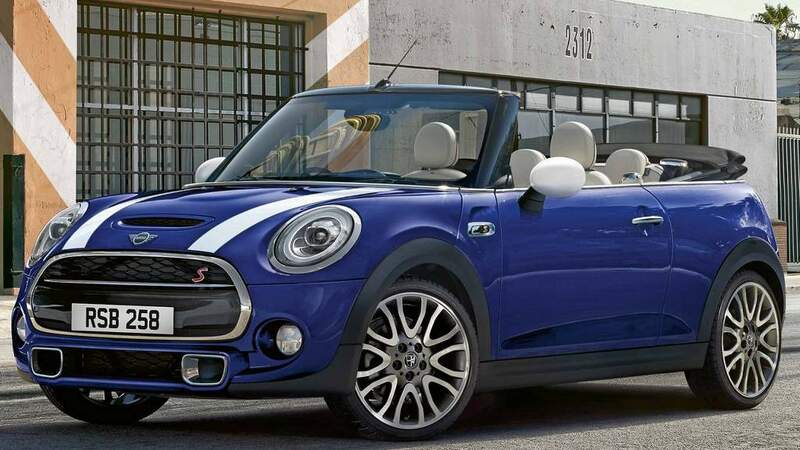 Between three 2018 Mini variants, customers can pick from 14 colours: Solaris Orange, Emerald Grey, Starlight Blue, White Silver, Electric Blue, Melting Silver, Midnight Black, Pepper White, Chili Red, British Racing Green, Moonwalk Grey, Caribbean Aqua, Thunder Grey and MINI Yours Lapisluxury Blue. 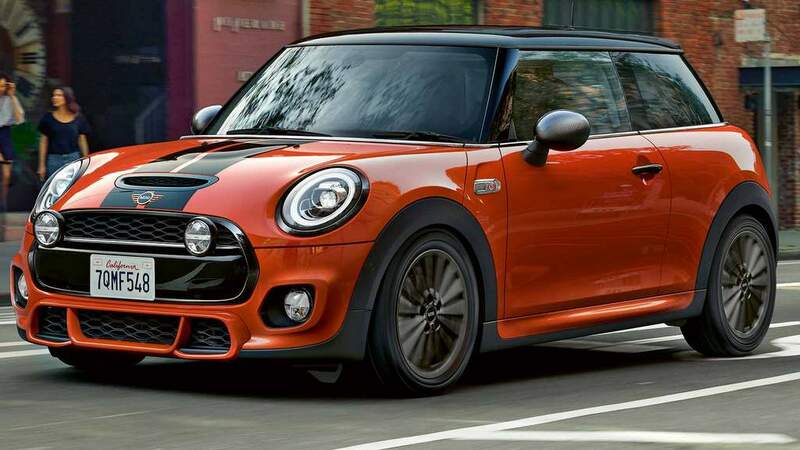 Optional Piano Black exterior for Cooper S models is available with LED headlight, rear lights and radiator grille in high gloss black instead of chrome. The Mini logo features in the bonnet, tailgate, steering wheel, central instrument display and remote control across variants. 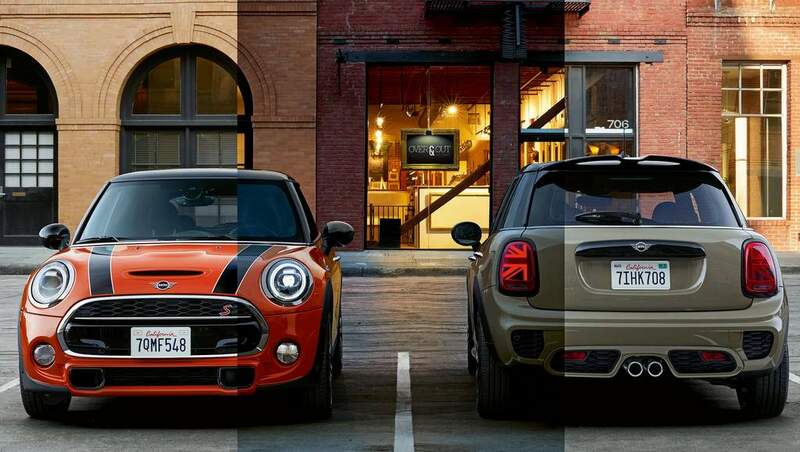 2018 Mini LED headlights are redesigned. The new lens design and LED DRL ring houses LED indicators. Optional Adaptive LED headlights feature cornering lights and Matrix lights functionality for better visibility without glare. Rear light units are in a Union Jack design. Interior styling options include Leather Chester Malt upholstery with Malt Brown colour line, and door and centre console surface area in Piano Black. A backlit interior surface option is included. Excitement Pack features: LED interior and ambient lighting to illuminate centre console cockpit (12 colour choices). Logo projection from driver side mirror during door opening and closing is an option. Circular central instrument panel is encased in a LED ring. The optional touchscreen features Mini Radio Visual Boost. Centre console selection and control is aided with a controller. 2018 Mini Wired package option – 8.8″ touchscreen with Touchpad controller, MINI Find Mate, Navigation System Professional, MINI Connected XL, telephony with wireless charging, 2nd USB interface and a 20 GB internal hard drive. Infotainment options – Apple CarPlay wit Mini Radio Visual Boost + MINI Navigation; Wired Package and 360 watt Harmon Kardon Hi-Fi Speaker System with 12 speakers, and an eight-channel digital amplifier. Power – Mini 3-door Cooper S and Convertible Cooper S get power from a 2.0 litre 4 cylinder MINI TwinPower Turbo petrol engine with 280 Nm of torque and power output of 141 kW/192 hp. 3-door Cooper S top speed is pegged at 235 km/hr. Getting from 0 to 100 Km/hr takes 6.7 seconds. 7-Speed Double Clutch Steptronic Transmission heralds dynamic gearshifts for sporty acceleration and manoeuvres without torque interruption. An upgrade of the new 7-Speed Double Clutch Steptronic Sports Transmission means shorter gear ratios, differentiated gear lever, red striped gaiter, and paddle shifters. Shift by wire tech for AT features an electronic gear selector for optimised vehicle handling. Mini 3-door Cooper D and 5-door Cooper D get power from a 1.5 litre 3-cylinder MINI Twin Power Turbo diesel engine with 270 Nm of torque and power output of 85 kW/114 hp. Top speed is gauged at 205 km/h. 0 to 100 km/hr acceleration takes 9.2 seconds. Drive modes revolve around ride comfort, sportiness and driver preference – MID, Sport, Green. Driver Assistance Systems – Cruise Control, optional Park Assistant, Rear View Camera and Head-Up Display (HUD). Safety features – front and passenger airbags, Brake Assist, 3-Point Seat Belts, Dynamic Stability Control, Crash Sensor, Anti-lock Braking System, Cornering Brake Control, Run-flat tyres as standard. Auto Start/Stop function, Brake Energy Recuperation, active cooling air flaps and electromechanical power steering as expected feature as standard.